We offer business to business wholesale pricing for all of our products. Some of our customers include ice cream shops, gelaterias, frozen yogurt chains, and restaurants. Custom flavors and sizes can be created. Our boxed cones can be found at various markets, shops and speciality food retailers. They'll be a delicious addition to your home dessert options or a beautiful gift for any food lover. Check out our current retailers on the "Find Us" page. Become a distributor of The Konery! We'd love to grow our business with professional, like-minded partners who share our passion for quality products and customer service. Inquire with us about availiable products and logistics. The Konery is a wholesale manufacturer specializing in business to business sales. We do not currently sell our products online. The waffle cone has always had a simple, sweet taste with no distinct character or flavor. And as ice cream has evolved, sadly the beloved cone has remained unchanged. Determined to give the waffle cone a flavorful twist and modern identity, The Konery was created. Fresh herbs, spices, natural extracts, and gourmet ingredients are baked into every cone, creating a deliciously unique taste and texture. Each cone is then hand rolled, cooled and ready to be filled and enjoyed! 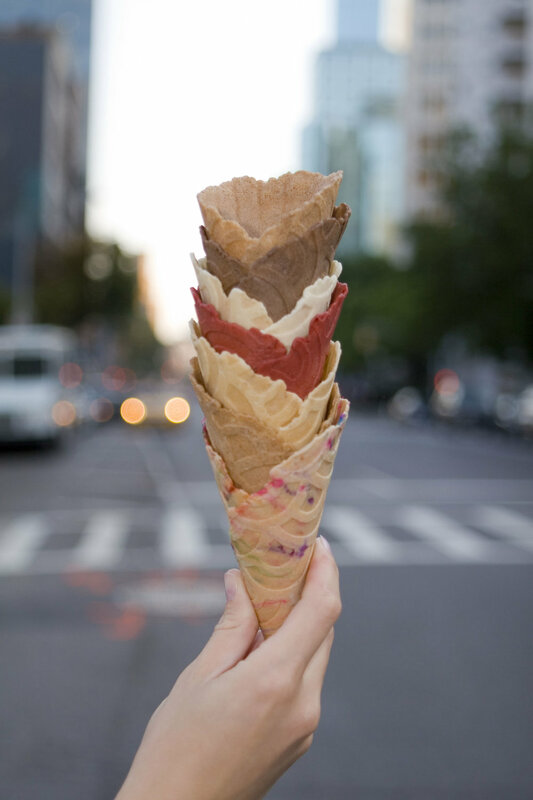 Our cones are naturally free of dairy, additives and preservatives. Kristine Tonkonow is the cone expert & founder of The Konery. With a passion and appreciation for food, Kristine lives to eat and puts genuine love into every bite of her creations. She is a born and raised New Yorker proud to be making delicious treats in her hometown of Brooklyn.